T 2. T 1. T 6. T 4. T 3. T 5. I 3. I 1. I 2. I 5. I 4. 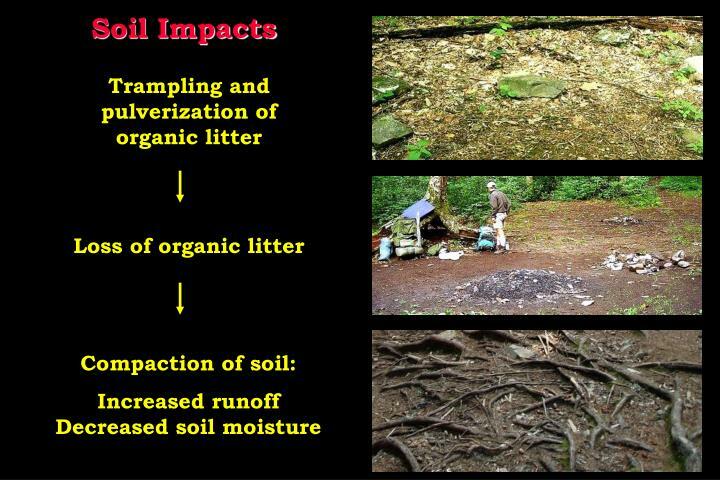 Soil Loss. 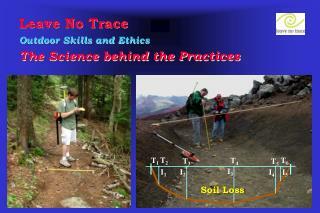 Leave No Trace Outdoor Skills and Ethics The Science behind the Practices. 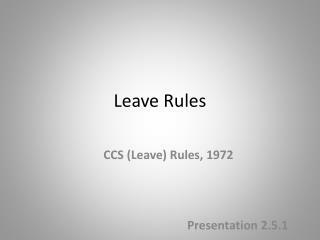 Presentation Objectives. 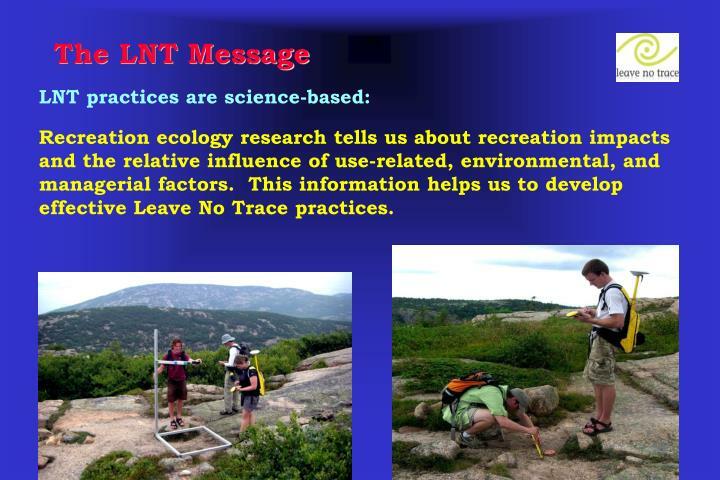 Describe recreation ecology research and how it helps inform the development of Leave No Trace practices. 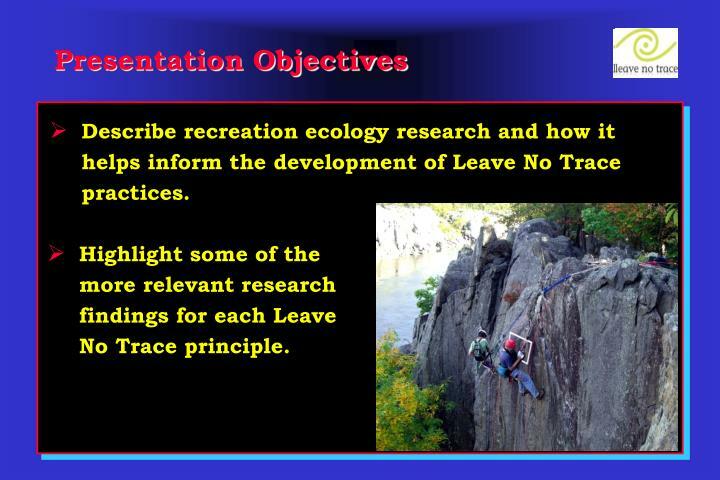 Describe recreation ecology research and how it helps inform the development of Leave No Trace practices. 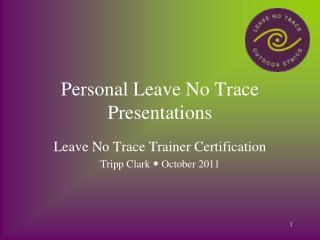 Highlight some of the more relevant research findings for each Leave No Trace principle. 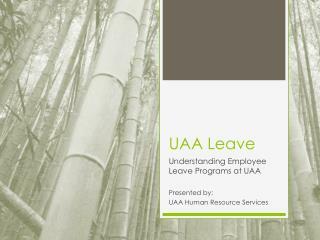 Recreation ecology research tells us about recreation impacts and the relative influence of use-related, environmental, and managerial factors. 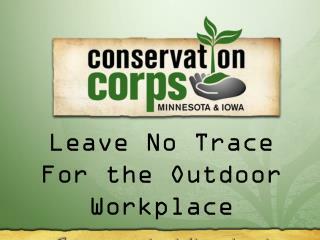 This information helps us to develop effective Leave No Trace practices. 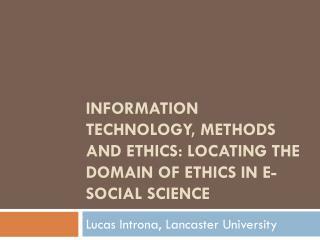 Social science research tells us about visitor attitudes, behaviors, social norms, and effective methods of communicating low impact practices. 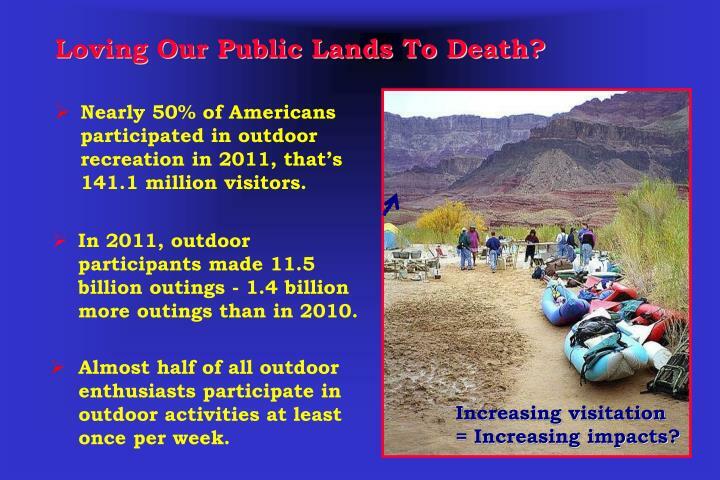 Loving Our Public Lands To Death? 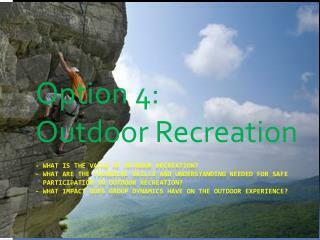 Nearly 50% of Americans participated in outdoor recreation in 2011, that’s 141.1 million visitors. 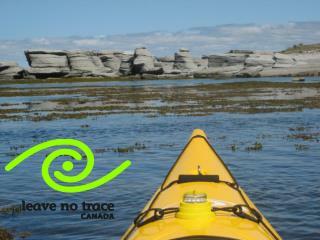 In 2011, outdoor participants made 11.5 billion outings - 1.4 billion more outings than in 2010. 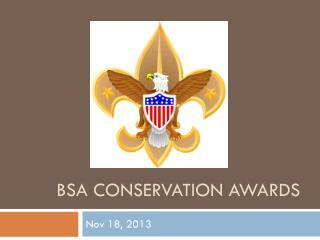 Almost half of all outdoor enthusiasts participate in outdoor activities at least once per week. Schedule your trip to avoid times of highest use. 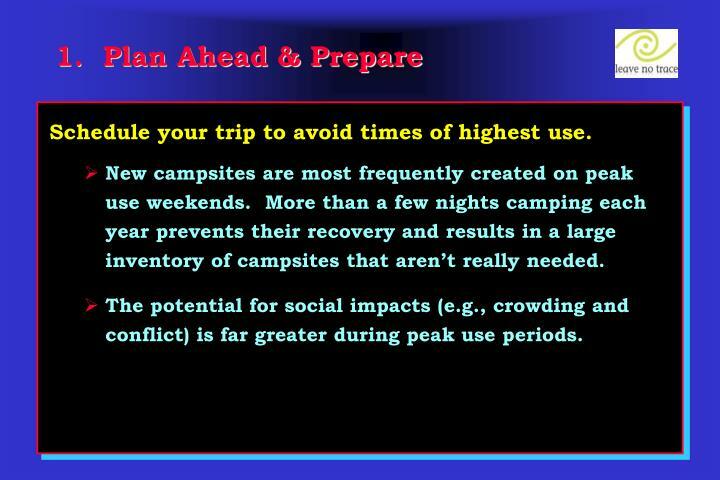 New campsites are most frequently created on peak use weekends. More than a few nights camping each year prevents their recovery and results in a large inventory of campsites that aren’t really needed. The potential for social impacts (e.g., crowding and conflict) is far greater during peak use periods. Schedule your trip to avoid times when resources are vulnerable. 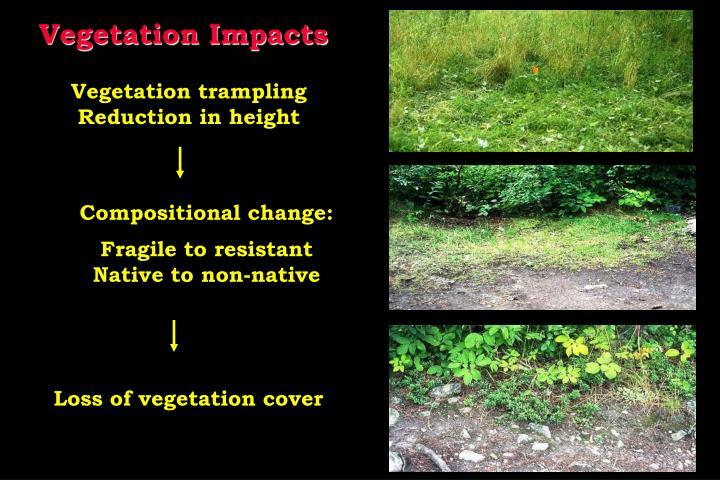 Vegetation and soils are far more susceptible to degradation during wet periods. 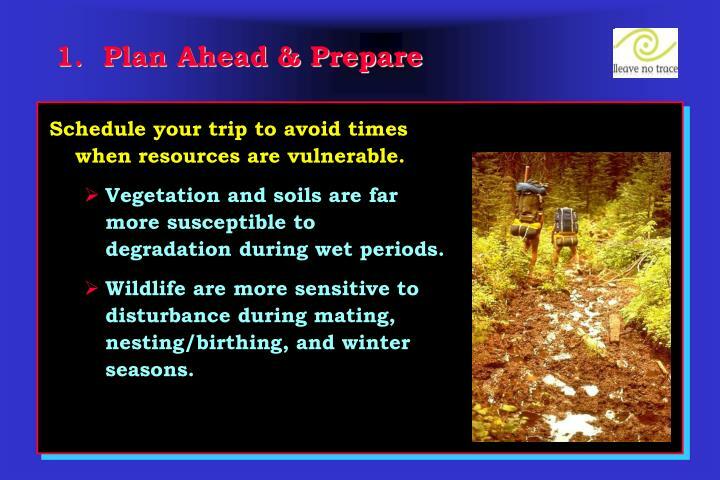 Wildlife are more sensitive to disturbance during mating, nesting/birthing, and winter seasons. 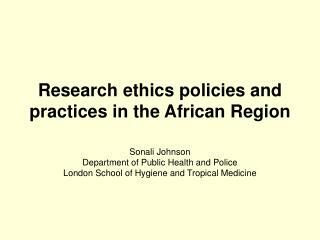 OK: Confine traffic to dry grasses; avoid herbs. relationship for selecting a low-impact campsite? 45 sites, each with 1 night of camping/year. of dispersal to be exceedingly difficult to achieve. A containment policy is more effective. 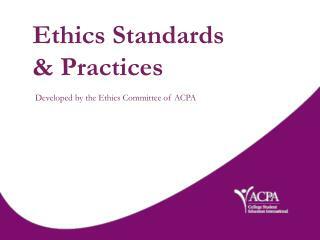 a (3 x a) amount of impact to a (1 x b) level. 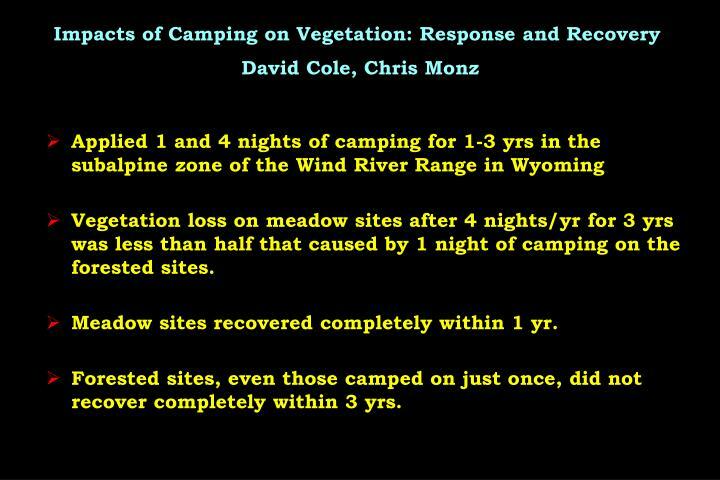 Vegetation loss on meadow sites after 4 nights/yr for 3 yrs was less than half that caused by 1 night of camping on the forested sites. Meadow sites recovered completely within 1 yr.
Forested sites, even those camped on just once, did not recover completely within 3 yrs. 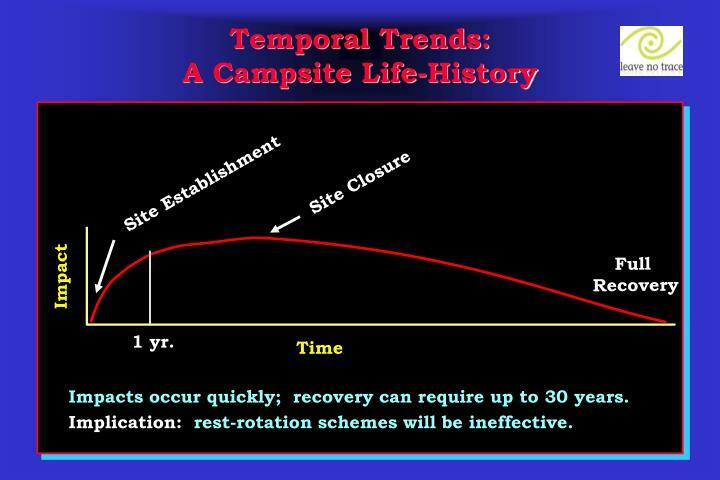 Impacts occur quickly; recovery can require up to 30 years. Implication: rest-rotation schemes will be ineffective. 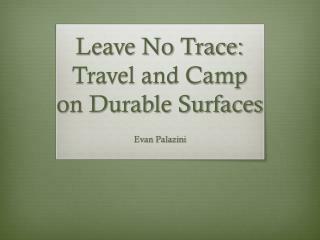 Spread out and travel on pristine resistant surfaces if you leave trails. 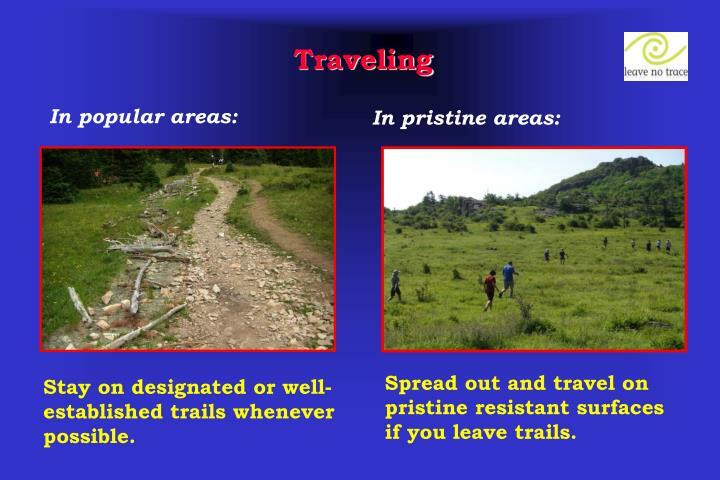 Stay on designated or well-established trails whenever possible. 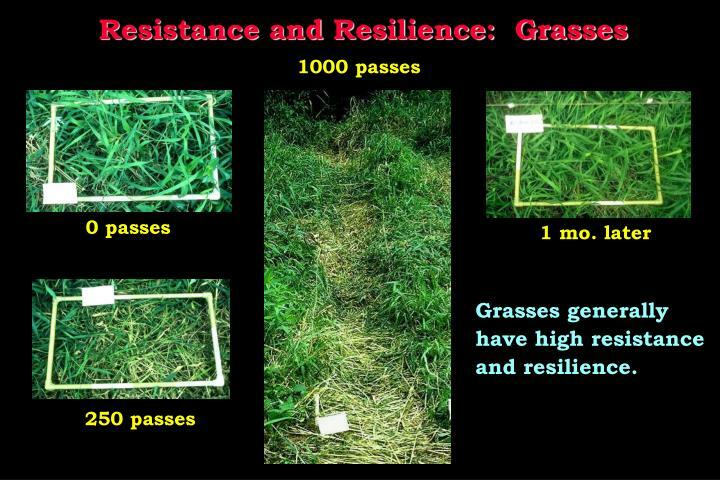 Stay on established resistant sites. 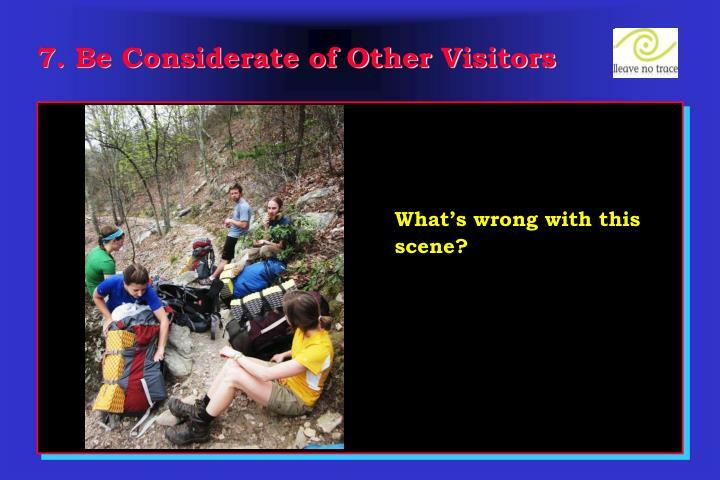 Restrict activities to highly disturbed areas. 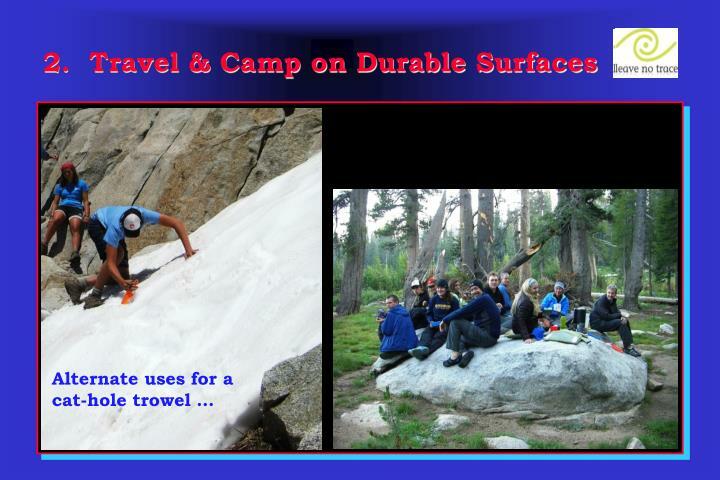 Choose a pristine site with resistant surfaces. 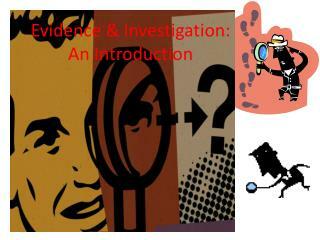 Disperse activities to avoid impact. Studies have shown bacteria to be present one year after cat-hole waste burial. 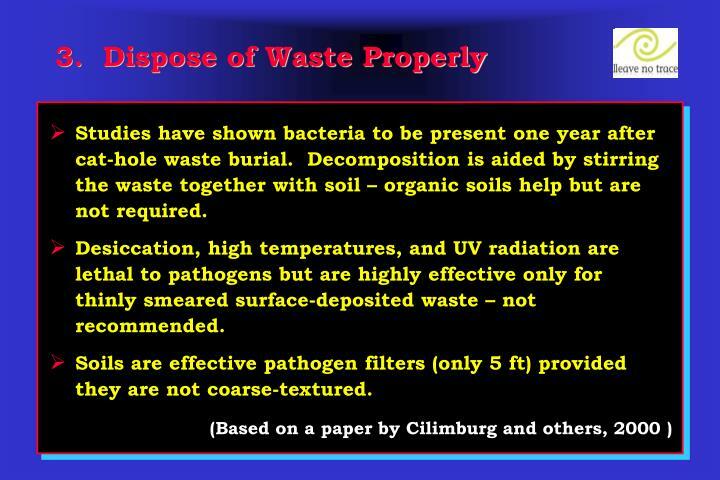 Decomposition is aided by stirring the waste together with soil – organic soils help but are not required. 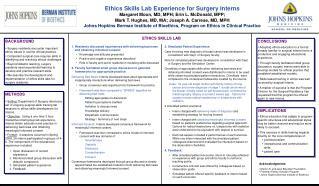 Desiccation, high temperatures, and UV radiation are lethal to pathogens but are highly effective only for thinly smeared surface-deposited waste – not recommended. 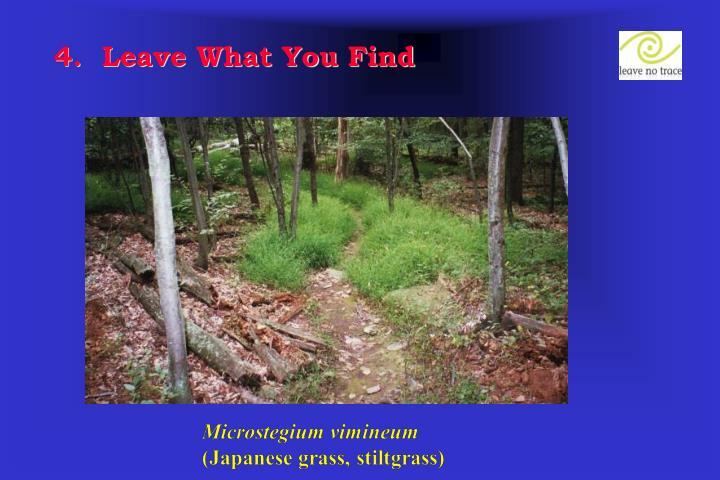 Soils are effective pathogen filters (only 5 ft) provided they are not coarse-textured. 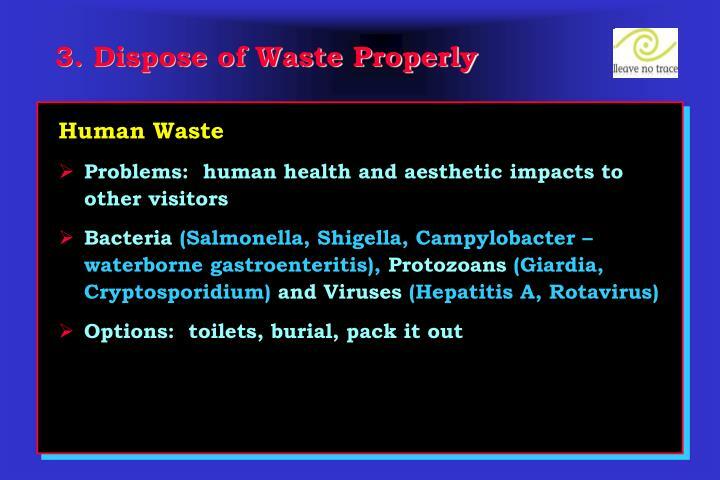 Recommendations: Use toilets, carry-out, or cat-hole wastes. Surface deposition is problematic due to aesthetics, animal and insect transmission of diseases, and the greater potential for water contamination. Burial (6-8”) in fine-textured soil >200 ft from water. 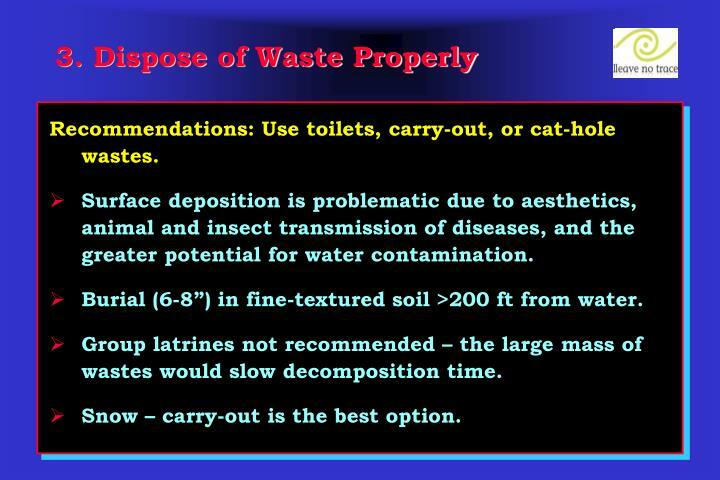 Group latrines not recommended – the large mass of wastes would slow decomposition time. Snow – carry-out is the best option. Analyzed buried human waste buried at two depths in a Montana wilderness. Bacteria survived in large numbers over the first year. Burial depth had no effect on survival rates. 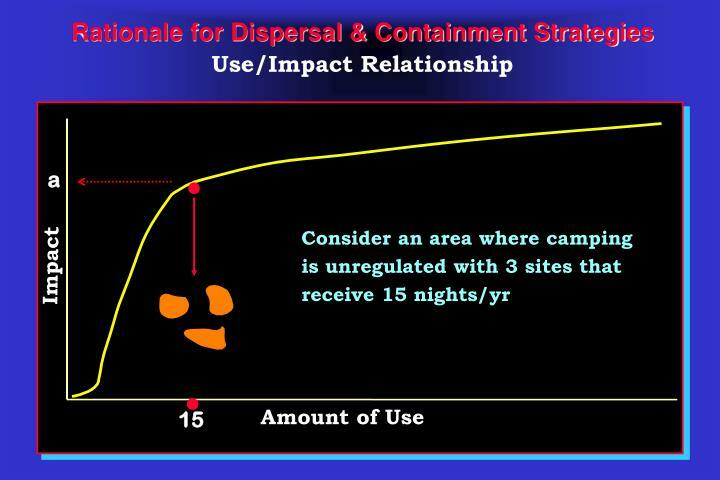 Surface disposal increases the chances of insect transmission of disease and of water contamination after a heavy rain. 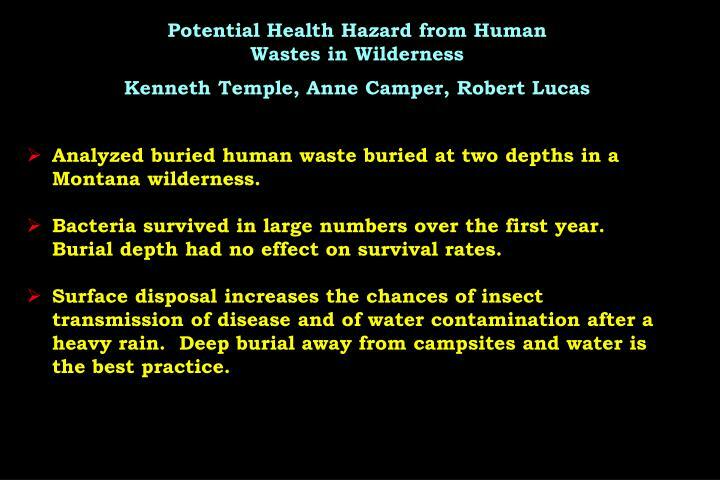 Deep burial away from campsites and water is the best practice. Examined the breakdown rates for toilet paper, facial tissues, and tampons in 9 environments park settings. 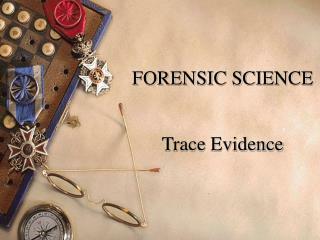 Items were buried for 6, 12 & 24 months at depths of 2 & 6 inches. 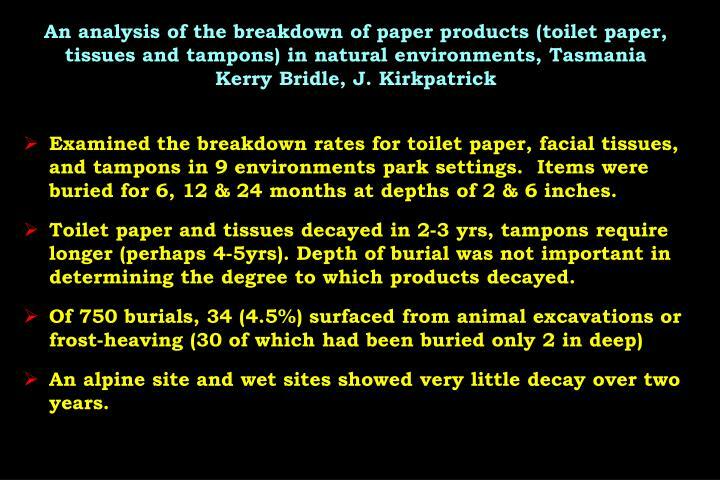 Toilet paper and tissues decayed in 2-3 yrs, tampons require longer (perhaps 4-5yrs). 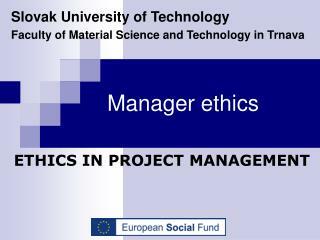 Depth of burial was not important in determining the degree to which products decayed. An alpine site and wet sites showed very little decay over two years. Dish washing options were tested with simulated dish washing of 5 contaminated dish tins. 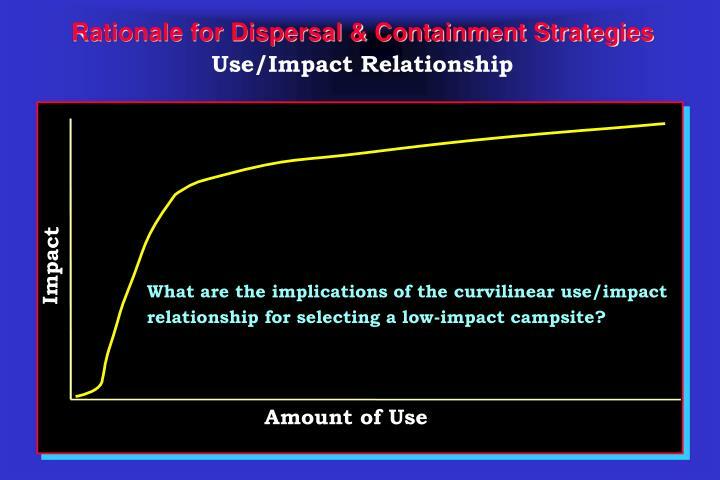 Bacterial load on contaminated tins is reduced when the 3-bowl system is used. Soap is needed to remove grease. 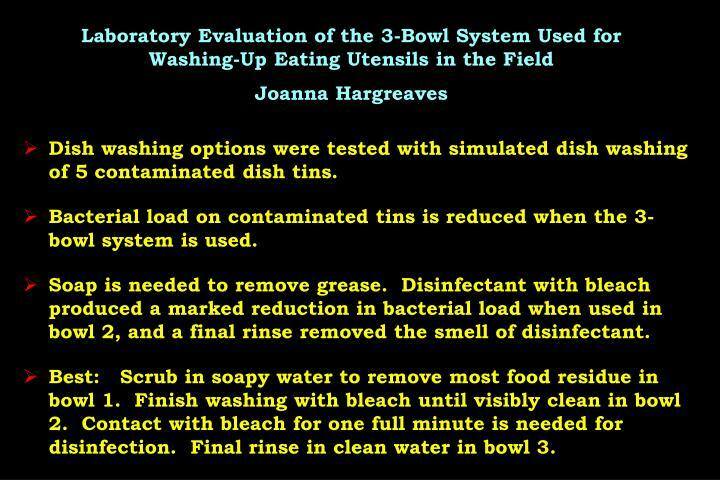 Disinfectant with bleach produced a marked reduction in bacterial load when used in bowl 2, and a final rinse removed the smell of disinfectant. Best: Scrub in soapy water to remove most food residue in bowl 1. Finish washing with bleach until visibly clean in bowl 2. Contact with bleach for one full minute is needed for disinfection. Final rinse in clean water in bowl 3. 1) Eat everything! Or scrape food into a trash bag. Remove grease/oil with TP if present. 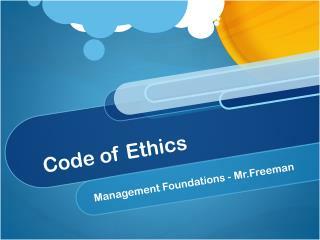 2) Wash with a few drops of biodegradable soap. 3) Sanitize by dipping in boiling water just prior to next meal, or dip for 1+ minute in cold water with unscented chlorine bleach (1.5 tsp/gal). 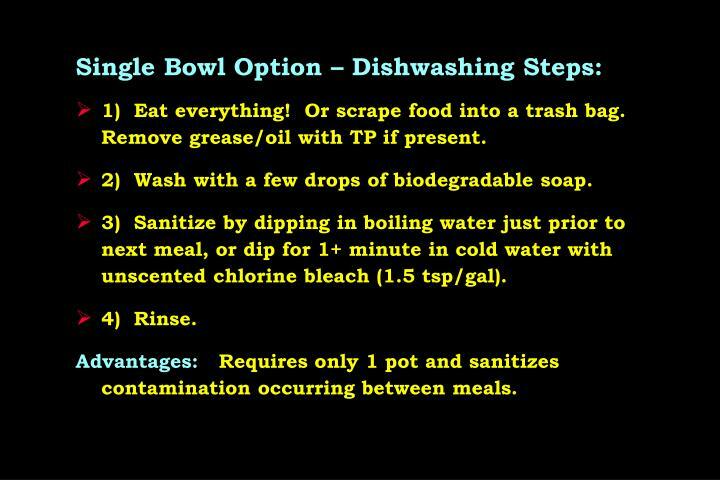 Advantages: Requires only 1 pot and sanitizes contamination occurring between meals. 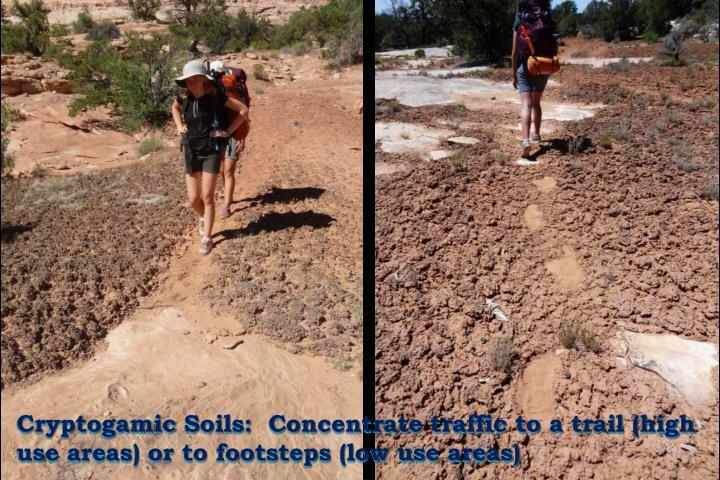 Seeds stuck to boots, hooves, and tents often germinate along trails and at campsites. 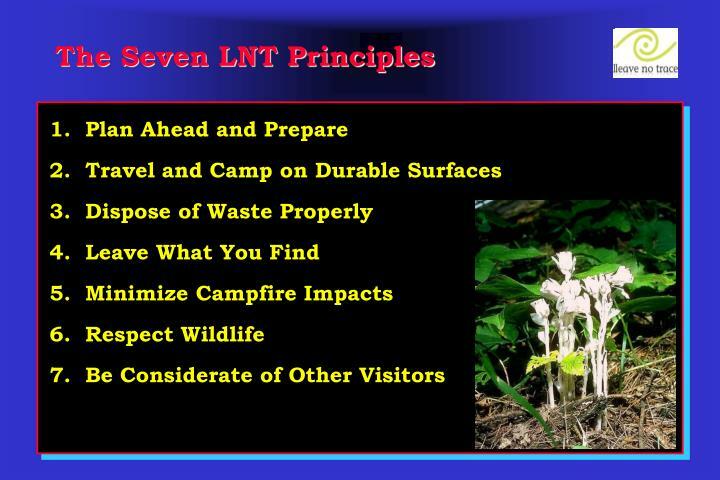 Most non-native plants are “disturbance-associated” species that remain in the vicinity of trails and campsites, e.g., dandelions and plantain. 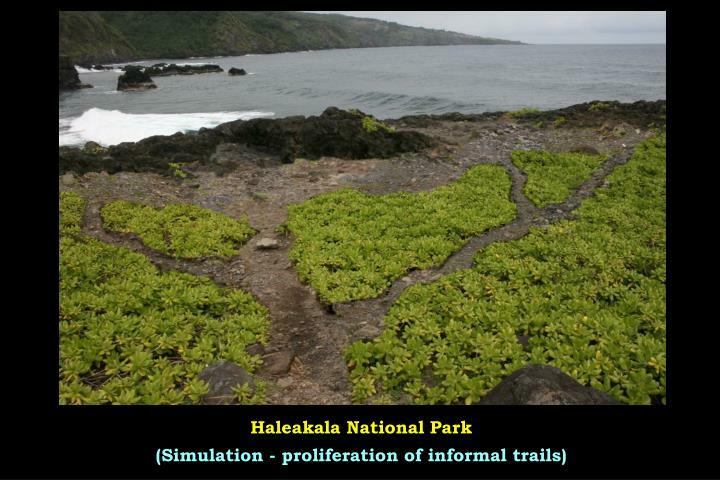 However, a few species are able to out-compete native vegetation in undisturbed environments. 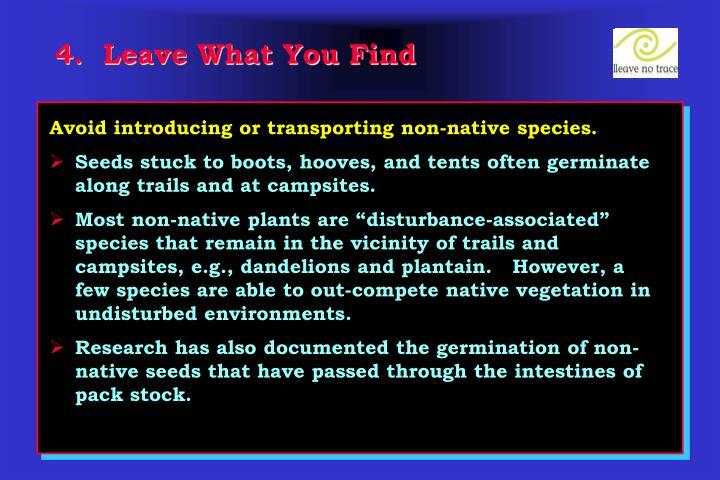 Research has also documented the germination of non-native seeds that have passed through the intestines of pack stock. 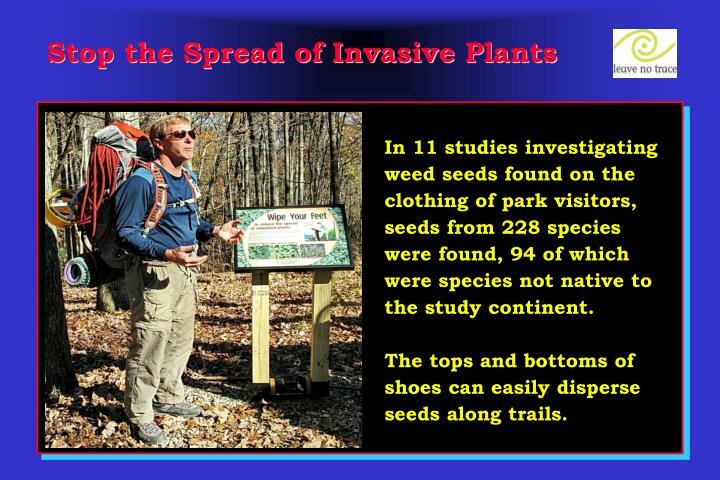 In 11 studies investigating weed seeds found on the clothing of park visitors, seeds from 228 species were found, 94 of which were species not native to the study continent. The tops and bottoms of shoes can easily disperse seeds along trails. Leave flowers for others to see. Picking them prevents formation of seeds vital to their reproduction and survival. 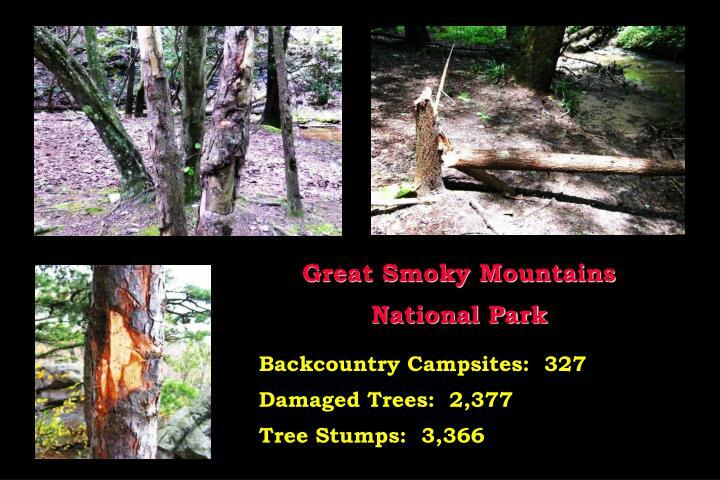 A Great Smoky Mtn. 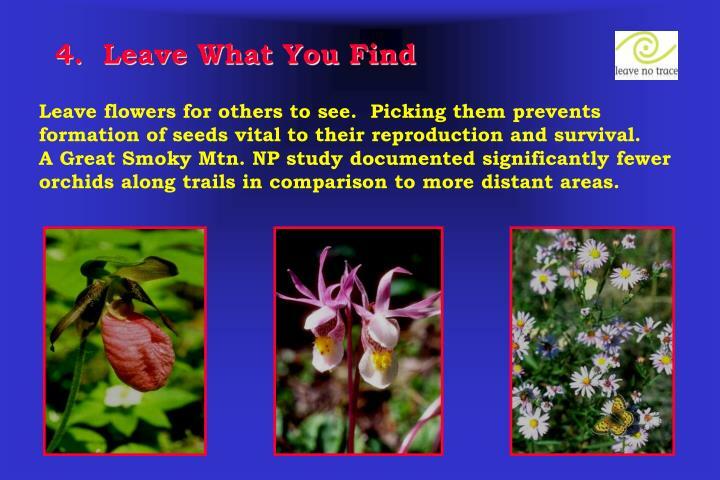 NP study documented significantly fewer orchids along trails in comparison to more distant areas. 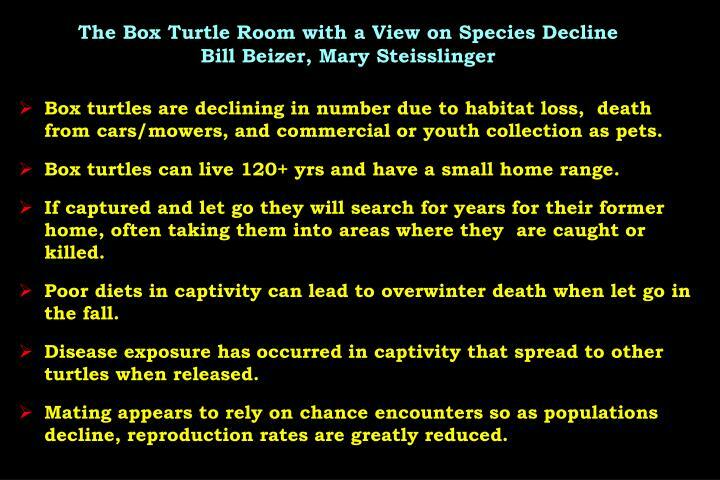 Box turtles are declining in number due to habitat loss, death from cars/mowers, and commercial or youth collection as pets. Box turtles can live 120+ yrs and have a small home range. If captured and let go they will search for years for their former home, often taking them into areas where they are caught or killed. Poor diets in captivity can lead to overwinter death when let go in the fall. Disease exposure has occurred in captivity that spread to other turtles when released. Mating appears to rely on chance encounters so as populations decline, reproduction rates are greatly reduced. 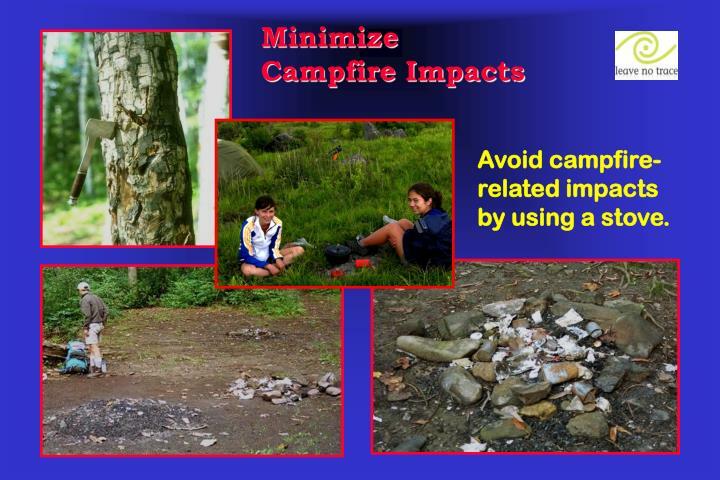 Campfires can cause lasting impacts to the backcountry. 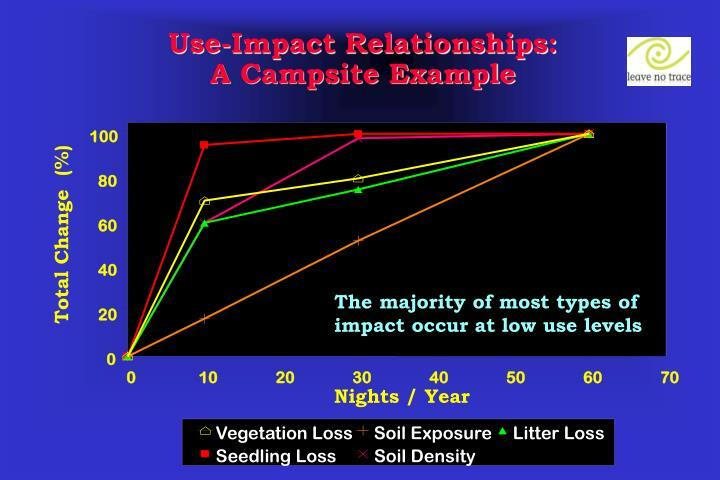 Research shows that campfire-related impacts are both socially and ecologically significant. 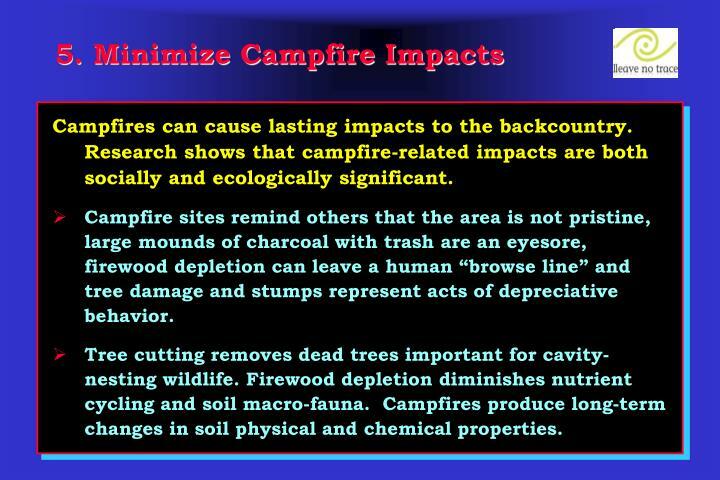 Campfire sites remind others that the area is not pristine, large mounds of charcoal with trash are an eyesore, firewood depletion can leave a human “browse line” and tree damage and stumps represent acts of depreciative behavior. Tree cutting removes dead trees important for cavity-nesting wildlife. 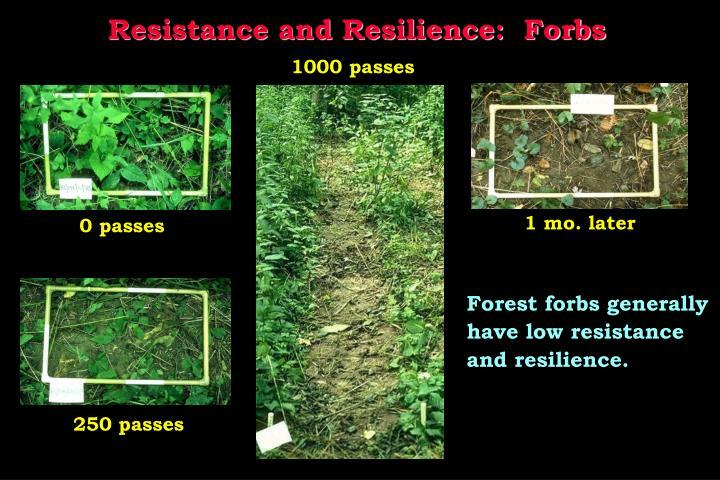 Firewood depletion diminishes nutrient cycling and soil macro-fauna. 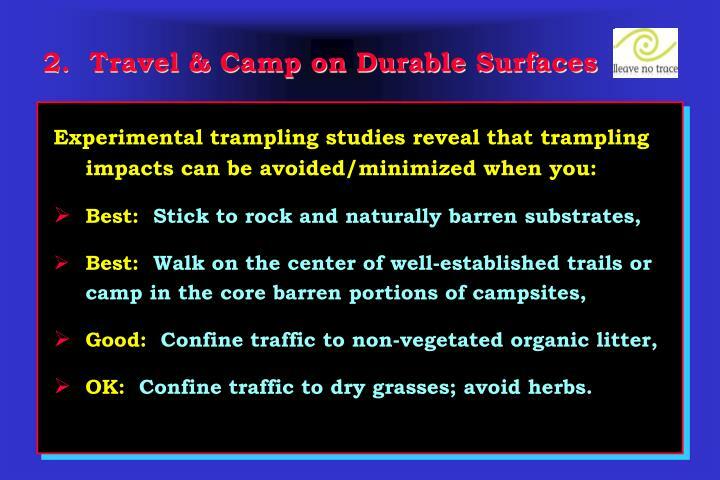 Campfires produce long-term changes in soil physical and chemical properties. 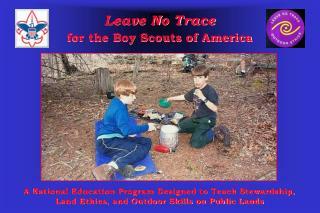 Avoid campfire-related impacts by using a stove. 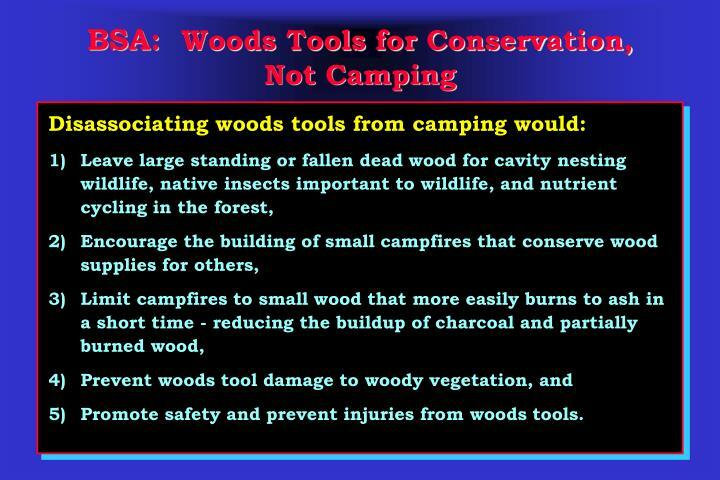 Promote safety and prevent injuries from woods tools. Research shows that small mammal populations supported by human food reach unsustainable levels that promote disease transmission or starvation during the off-season. Another study found that the cessation of long-term artificial feeding left some animals with an inability to locate natural food. 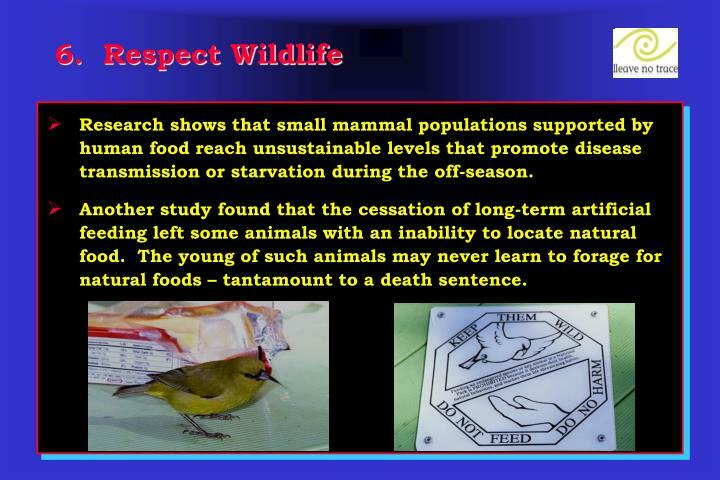 The young of such animals may never learn to forage for natural foods – tantamount to a death sentence. 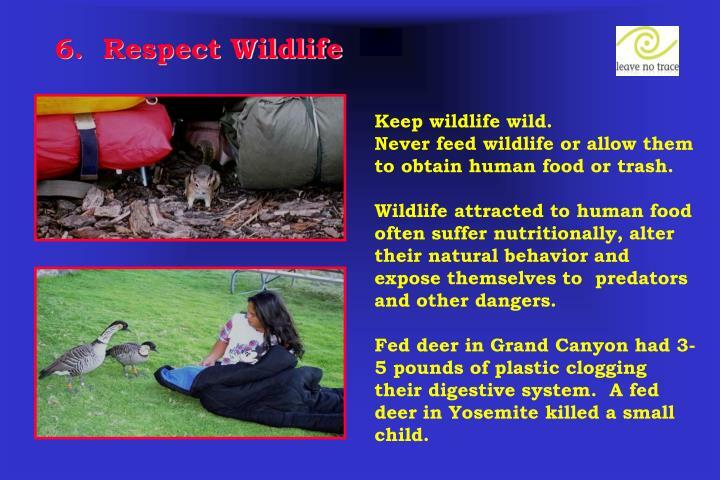 Never feed wildlife or allow them to obtain human food or trash. Wildlife attracted to human food often suffer nutritionally, alter their natural behavior and expose themselves to predators and other dangers. 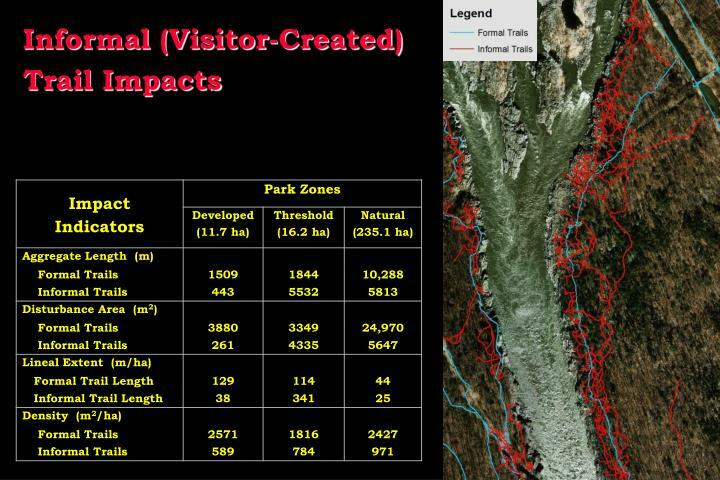 Fed deer in Grand Canyon had 3-5 pounds of plastic clogging their digestive system. A fed deer in Yosemite killed a small child. 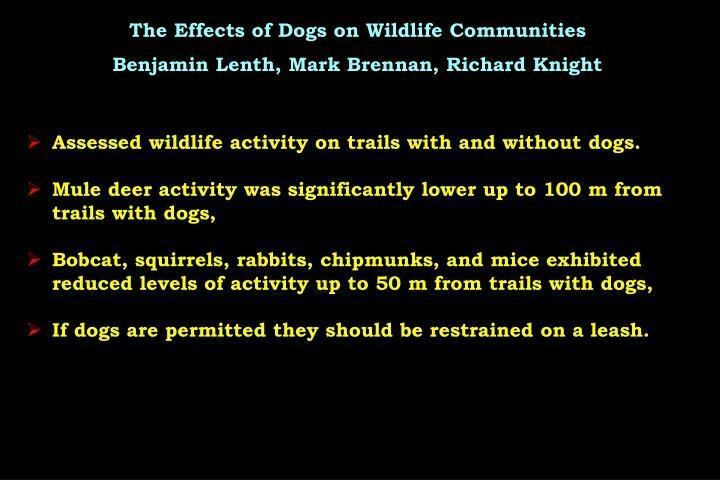 Assessed wildlife activity on trails with and without dogs. If dogs are permitted they should be restrained on a leash. 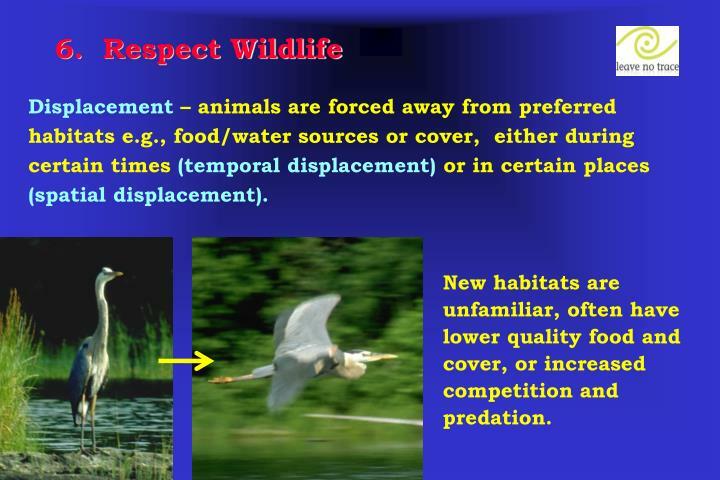 Displacement– animals are forced away from preferred habitats e.g., food/water sources or cover, either during certain times (temporal displacement) or in certain places (spatial displacement). New habitats are unfamiliar, often have lower quality food and cover, or increased competition and predation. Studies reveal that >2/3rds of wilderness visitors report that seeing large groups reduces their feeling of solitude and being in wilderness. 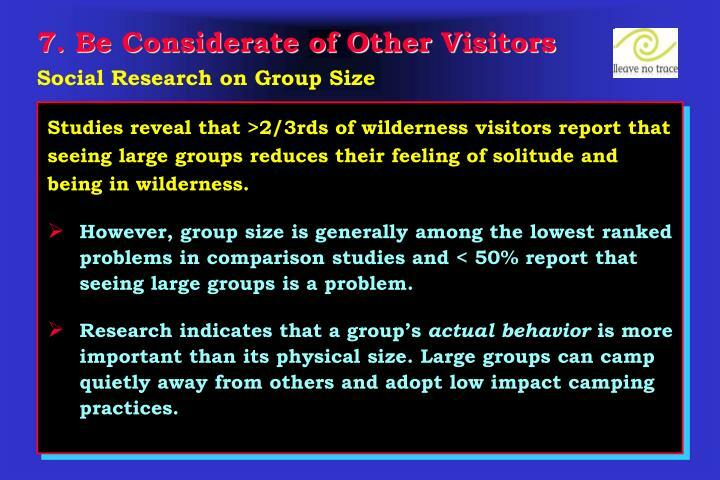 However, group size is generally among the lowest ranked problems in comparison studies and < 50% report that seeing large groups is a problem. Research indicates that a group’s actual behavior is more important than its physical size. 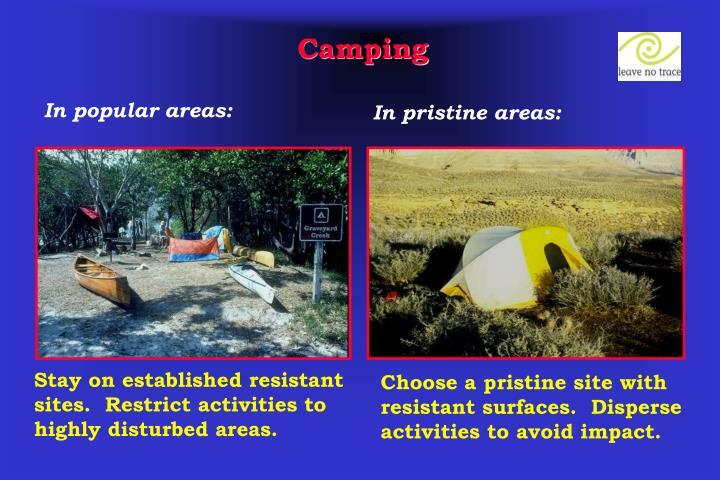 Large groups can camp quietly away from others and adopt low impact camping practices. 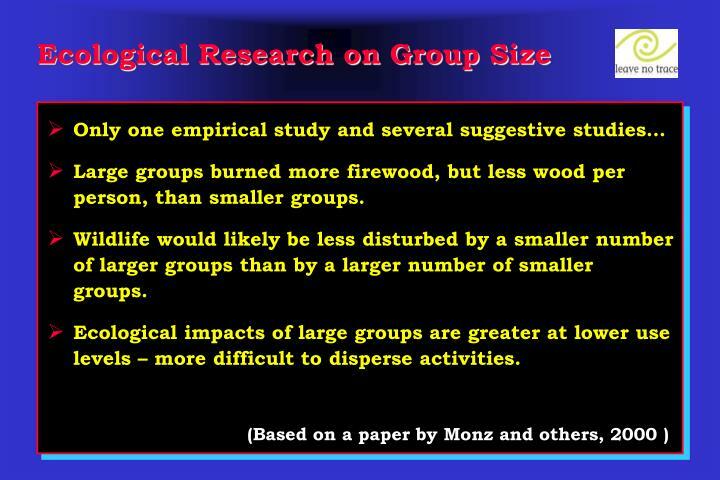 Large groups burned more firewood, but less wood per person, than smaller groups. Wildlife would likely be less disturbed by a smaller number of larger groups than by a larger number of smaller groups. 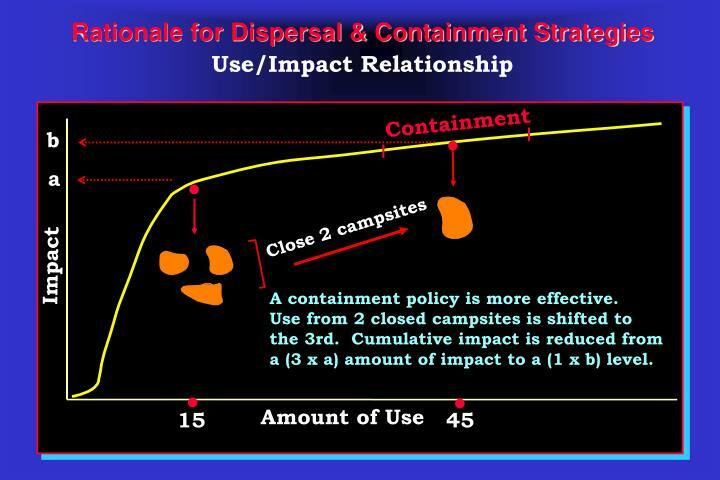 Ecological impacts of large groups are greater at lower use levels – more difficult to disperse activities. 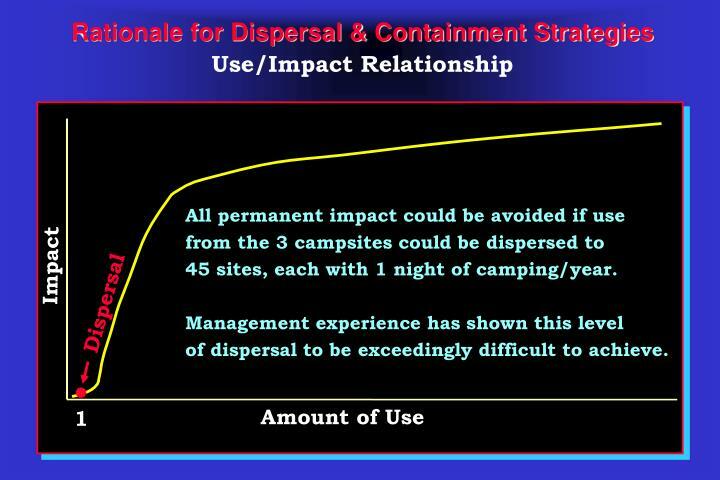 Large groups can cause excessive impact if they cannot locate a sufficiently large site – in this instance they should split up and camp separately. 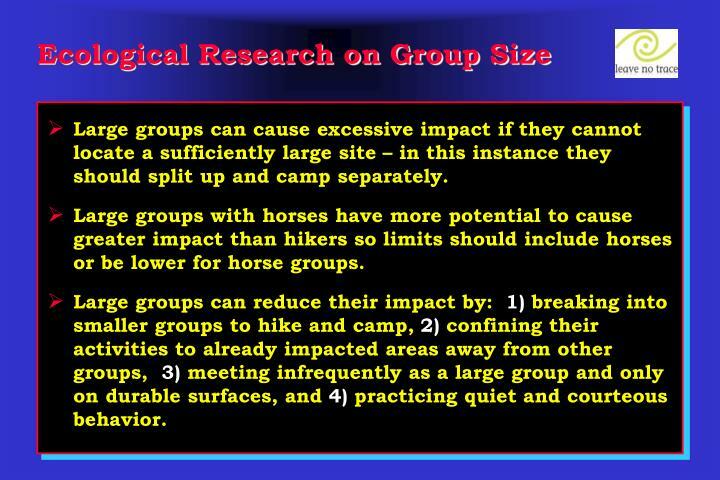 Large groups with horses have more potential to cause greater impact than hikers so limits should include horses or be lower for horse groups. 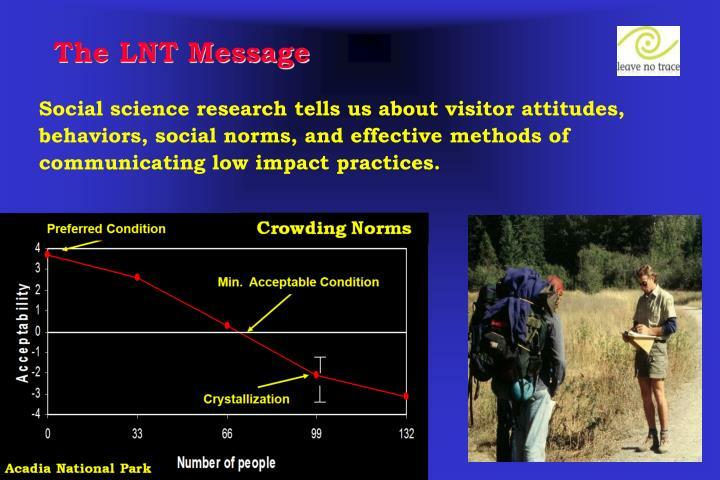 Large groups can reduce their impact by: 1) breaking into smaller groups to hike and camp, 2) confining their activities to already impacted areas away from other groups, 3) meeting infrequently as a large group and only on durable surfaces, and 4) practicing quiet and courteous behavior. 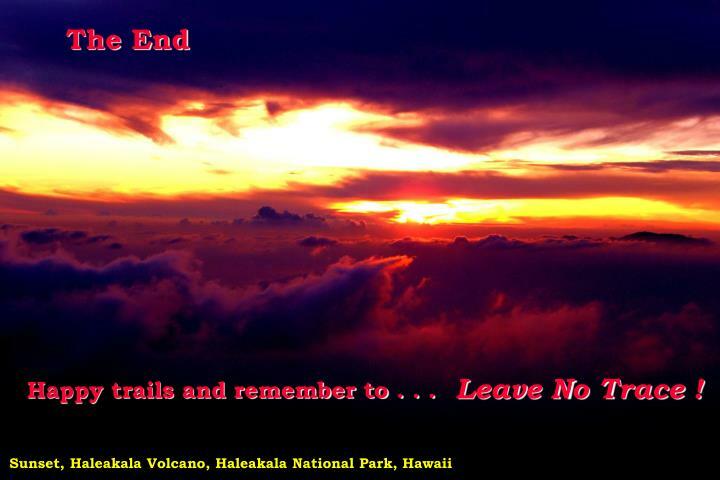 Happy trails and remember to . 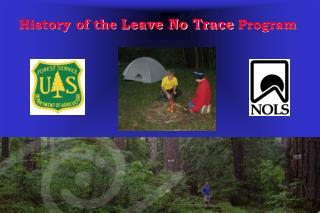 . .
History of the Leave No Trace Program -. presentation objectives. 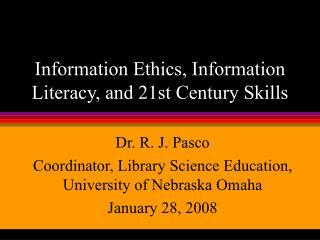 review the history of low impact educational programs. 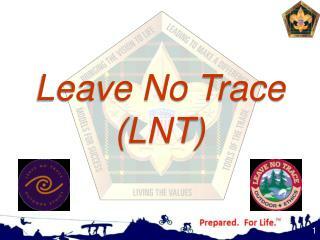 describe the origin of leave no trace and the role of the u.s. forest service and the national outdoor leadership school. 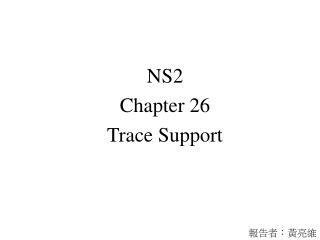 NS2 Chapter 26 Trace Support -Ns2 chapter 26 trace support. 報告者：黃亮維. outline. trace support ‧otcl helper functions library support and examples the c++ trace class trace file format packet types. trace support. 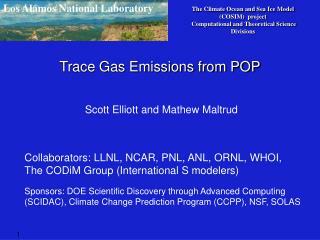 TRACE GAS EMISSIONS -Los alamos national laboratory. trace gas emissions. the climate ocean and sea ice model (cosim) project computational and theoretical science divisions. trace gas emissions from pop. scott elliott and mathew maltrud.